Tom Petty fans are about to get some new music from the late singer. A four-CD boxed set, American Treasure, is due out on September 28 according to an announcement by the Petty Sirius XM channel Tuesday (July 10). The 60 songs in the set will include unreleased live and studio tracks and alternate versions. The compilation was put together by the singer’s daughter Adria, wife Dana, studio collaborator Ryan Ulate, and Heartbreakers members Mike Campbell and Benmont Tench. 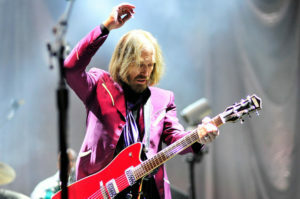 Petty died on October 2, 2017 after he accidentally overdosed on a variety of medications.